Rancho’s MacKenzie Perry struck out 16 and threw a five-hitter to lead the Rams to a 7-0 softball victory over visiting Cheyenne on Thursday. Perry also went 2-for-4 with an RBI and a run for Rancho. Kaitlyn Suarez doubled and drove in three runs for the Rams, who improved to 16-0, 4-0 in the Mountain League. Cimarron-Memorial 16, Eldorado 0 — At Cimarron, Mya’Liah Bethea was 2-for-2 with a grand slam and a two-run home run to help the Spartans to the three-inning victory over the Sundevils. Jordyn Ramos was 3-for-3 with two doubles, two runs and two RBIs, and Tiarra Del Rosario was 2-for-3 with a double, three runs and three RBIs for Cimarron. Destiney Guerrero was 2-for-2 with two runs and two RBIs, and Skylar Smith was 2-for-2 with a double, a run and an RBI for the Spartans, who scored 13 second-inning runs. Centennial 15, Desert Pines 0 — At Centennial, Abby Hanley threw a three-inning no-hitter and went 3-for-3 with a triple, two runs and five RBIs to lead the Bulldogs past the Jaguars. Hanley struck out six with one walk. Jacqueline Perez-Mena went 3-for-3 with two runs and an RBI, and Natasha Lawrence was 2-for-2 with a double, two runs and two RBIs for Centennial. Deanna Barrera was 2-for-2 with a double and two runs for the Bulldogs. Shadow Ridge 15, Bonanza 0 — At Shadow Ridge, Hailey Morrow was 3-for-3 with a triple, two runs and four RBIs to help the Mustangs to the four-inning win over the Bengals. Brianna Sibrian was 2-for-3 with a double, a run and two RBIs for Shadow Ridge. Sydney Morgan was 2-for-3 with a double, and Taylor Hendricks and Caitlyn Covington each drove in two runs for the Mustangs. Jasmine Martin spun a two-hitter with 10 strikeouts to get the win. Carla LaRosa went 2-for-2 for Bonanza. Arbor View 15, Las Vegas 0 — At Arbor View, Ashlyn Whipple went 2-for-2 with a triple, a run and three RBIs as the Aggies rolled to a three-inning win over the Wildcats. Trinity Brandon tripled and drove in three runs, and Makena Strong had a double, two runs and two RBIs for Arbor View. Annie Finch allowed one hit in two innings with five strikeouts to get the win. Momo Chavira had the hit for Las Vegas. Faith Lutheran 21, Legacy 9 — At Legacy, Kalsey Kekahuna-Lopes was 5-for-6 with three triples, a double, two runs, and eight RBIs as the Crusaders blitzed the Longhorns. Ellie Fried went 4-for-5 with a triple and three runs, and Hannah Probst belted a three-run home run for Faith Lutheran, which got three hits apiece from Isabelle Cottingham and Maggie Whipple. Madison Ruiz finished 3-for-4 with a double, and a two-run homer, and teammates Desiree Johnson and Kaleah Alapati each supplied two hits for Legacy. Valley 25, Western 10 — At Valley, Lily Mader was 3-for-3 with two doubles, three RBIs and four runs as the Vikings outslugged the Warriors in four innings. Heather Robinson went 2-for-2 with two RBIs and four runs for Valley. Joana Estrada had two doubles and four RBIs and Milani Johnson added two hits, a run and an RBI to pace Western. 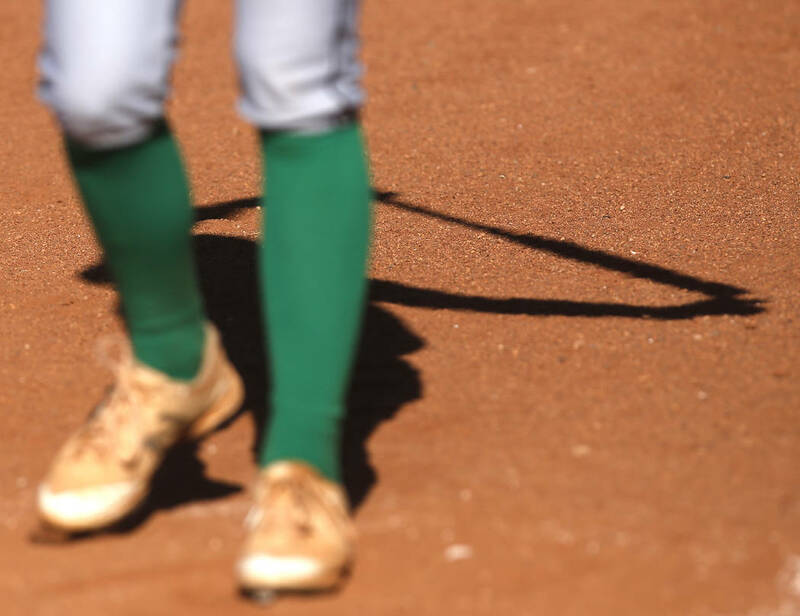 Palo Verde 18, Canyon Springs 0 — At Palo Verde, Eliana Watson went 3-for-3 with a triple and four RBIs as the Panthers routed the Pioneers in three innings. Watson also struck out five and only allowed one hit over three innings to pick up the win. Alyssa Maillaro tripled and drove in two runs, and Sianna Lewis had two doubles and a RBI for Palo Verde. Mojave 20, Del Sol 4 — At Del Sol, the Rattlers scored 16 runs in the top of the fifth inning to defeat the Dragons. Ysabella Morales drove in four runs for Mojave. Hayli Greenberg doubled and drove in two runs, and Britnee Holman had a double and an RBI for the Rattlers. Virgin Valley 12, Indian Springs 1 — At Mesquite, Emmelie Anguiano threw a five-inning no-hitter as the Bulldogs beat the Thunderbirds. Kylie Cannon doubled for Virgin Valley. Pahrump Valley 16, Democracy Prep 0 — At Doolittle Park, Kareena Nelson threw a three-inning no-hitter with seven strikeouts as the Trojans routed the Blue Knights. Nicky Velasquez went 2-for-3 with four RBIs, and Nelson was 3-for-3 with a double for Pahrump.